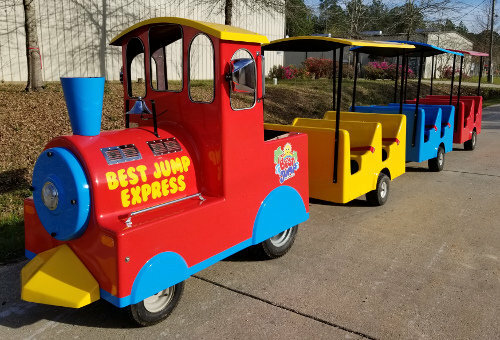 Good news... Best Jump has the area's BEST LOOKING trackless train around! Let us bring the train to your neighborhood, church, school, or special event. Covered seating for up to 18 people means there's plenty of room and plenty of shade. An experienced train conductor drives the train and gives you the complete train party experience! Our train comes fully equipped with whistle and bell, giving you an authentic and magical experience for both kids and parents. It has seatbelts on every seat for saefty and security. PRICING: $275 for one hour or $400 for two hours, then $125 for each additional hour. 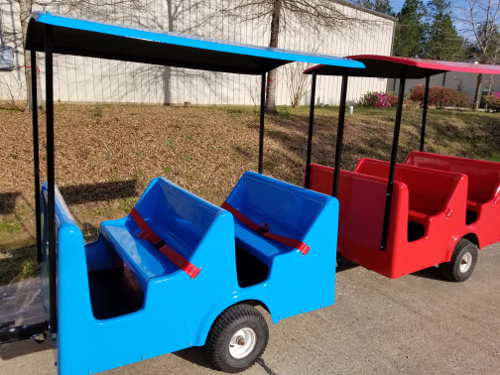 We also have train party packages available so you can combine the trackless train with concessions, bounce houses, water slides, or carnival games. Call or e-mail us to discuss your party. 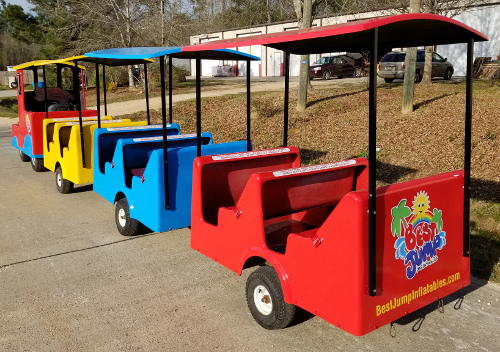 DELIVERY AREA: We bring our train to Mandeville, Covington, Slidell, Hammond, Independence, Tickfaw, Madisonville, Ponchatoula, Folsom, Bush, Lacombe, and Robert, Pearl River, Loranger, Bogalusa, and Franklinton (delivery fees may apply to some locations).